Swedish carmaker Volvo has announced a comprehensive electrification strategy which will see plug-in hybrids introduced across its entire range and a fully electric car on sale by 2019. The announcement forms part of a new strategy for Volvo, which expects electrified vehicles to account for 10% of its total car sales by 2019. It makes Volvo one of the few carmakers with two new vehicle designs aimed at supporting plug-in and pure EV powertrain configurations. Volvo’s plug-in hybrid scheme will be implemented across versions of its 90 and 60-series larger cars such as SUVs and Twin Engine All-Wheel Drives as well as continuing the hybrid versions of the sedans. Volvo will introduce a new range of smaller 40-series cars that will be designed from the outset for electrification. Further details on the all-electric car scheduled for rollout in 2019 are yet to be fully released. The strategy not only aims to promote EVs and hybrids as a mainstream form of transportation but also cut down on the companies GHG emissions. Volvo’s XC90 T8 Twin Engine SUV, delivers over 407 horsepower equivalent and just 49 g/km CO2, plus a pure electric range of 43km. Volvo’s announcement comes during an interesting period of transition for the auto industry as it begins to recover from the recent VW scandal. Hyundai is currently midway through a campaign which sees which sees the Hyundai ix35 Fuel Cell the world’s first commercially-available hydrogen-powered vehicle. 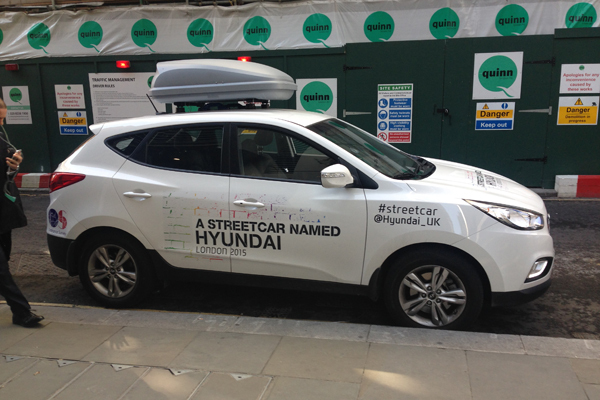 The car is currently driving around every street in London to celebrate 10th anniversary of Hyundai Motor UK. Earlier this week, Toyota announced a new set of six sustainability challenges to be incorporated and completed by the company by 2050. This included introducing improved recycling rates into the sector and reducing emissions by 90%. Last month Nissan added a new 30Kwh battery to its flagship Leaf electric vehicle, improving its driving range by 25%. edie recently spoke with Swedish entrepreneur Lewis Horne, who has launched 'Uniti' - a futuristic car concept which he believes could shake-up current business models within the industry. Read more here.